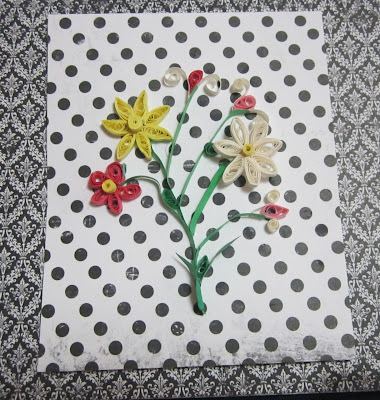 Finished my first quilling project and started another. The first just used simple shapes formed into flowers. Not very good but it was good practise. 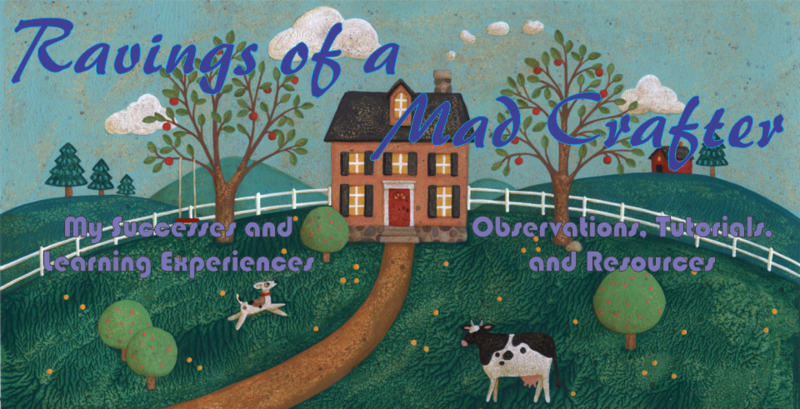 The project was meant for beginners I felt very challenged by it. The second project has scrolls which are a lot more delicate and difficult to shape. Gluing them makes the quilling paper soft. I have destroyed several scrolls tonight. 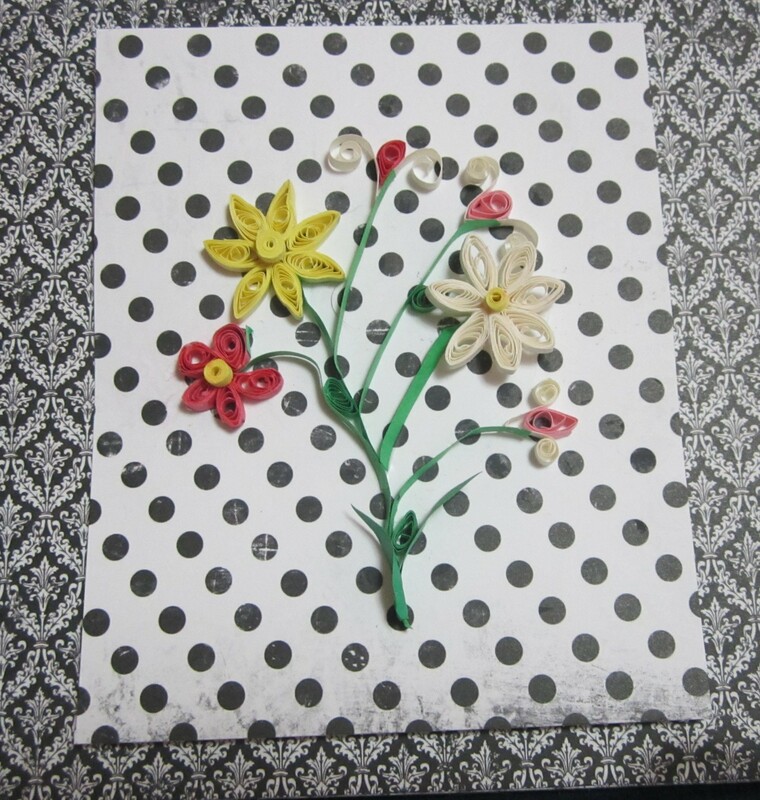 Quilling takes a lot of practise and patience. I keep trying to manipulate the paper that is still weak from gluing. I tried using very little glue but that doesn't seem to work. It will just take some more trial and error before I understand it. Think I will do something different tomorrow! beautiful... first attempt is good. Thank you so much! 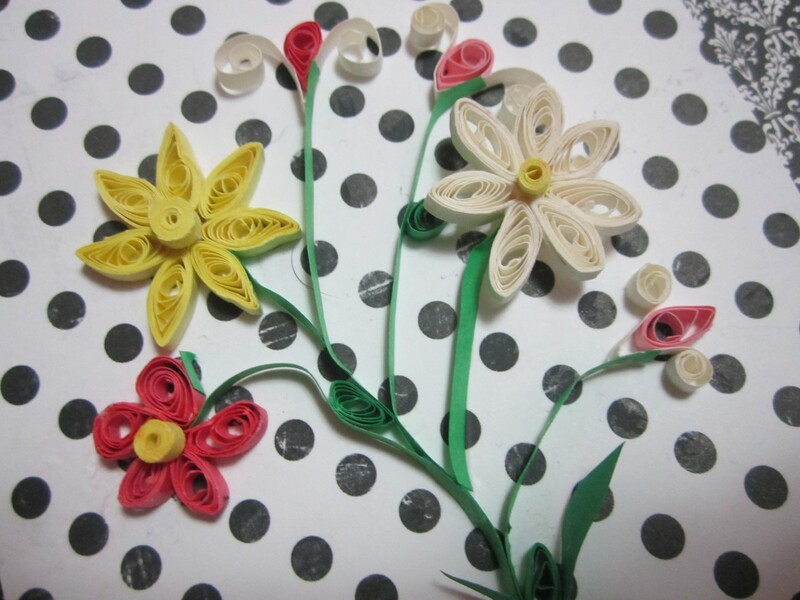 I really feel that quilling is beyond me. But I really want to learn so I can make Christmas cards. Once Altrusa is finished I will try again.